This Sunday The Reds will embark on their twelfth League Cup final. It’s a competition the club has dominated for four decades, winning the cup a record eight times. In the 1980’s Liverpool went to the final five times and won four in a row from 1981-84, recording victories over West Ham, Tottenham Hotspur, Manchester United and Everton. It’s an incredible record, but there has been a fair bit of pain along the way too. 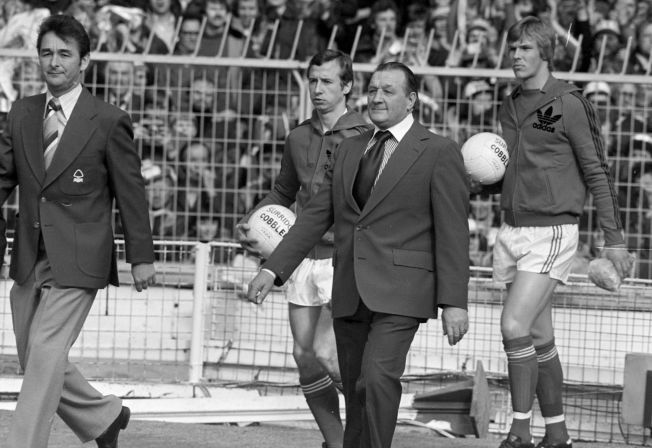 In 1978, Bob Paisley led Liverpool out at Wembley in their first ever League Cup final. The opponents were arch rivals Nottingham Forest, managed by a man reviled on Merseyside, Brian Clough. Clough was the Mourinho of his day, undoubtedly gifted, but a total pain in the arse; unless you supported Forest of course. It’s probably hard for younger supporters to imagine but for a short period Forest became Liverpool’s bitterest rivals. In 1978 they would go on to pip The Reds to the League Title and the following year they would finish First Division runners up and European Champions. In fact between 1977 and 1981 the two clubs would share the European Cup, with Liverpool winning three and Clough’s men two. Therefore the face-off between the two in the League Cup was a huge game. The game at Wembley would finish goalless, which meant a replay at Old Trafford four days later. To say the outcome was controversial is an understatement. In short Liverpool were robbed. Luckily we would console ourselves by retaining the European Cup later in May. Phil Thompson was adjudged to have brought John O’Hare down in the penalty area and Forest were awarded a pen. Robertson dutifully converted, but the foul had clearly taken place outside the area. To add insult to injury Liverpool had a Terry McDermott equalizer ruled out for handball, when the ball had clearly hit his chest. The same referee awarded Ian Callaghan his only booking in a career spanning 857 games. In a fit of post match despair Tommy Smith would sum up what every Liverpudlian on the planet felt, launching an epic rant and declaring that the referee should be shot. Strong words and completely over the top, but these were different times. Of course Liverpool also lost the cup in 1987, under Kenny Dalglish and again in 2005 under Rafa Benitez. Neither of these results hurt more than that replay defeat to Nottingham Forest. The burning sense of injustice lingered long and hard. It would fuel the rivalry between the two clubs and ensure Clough’s status on Merseyside as pantomime villain for many years to come. 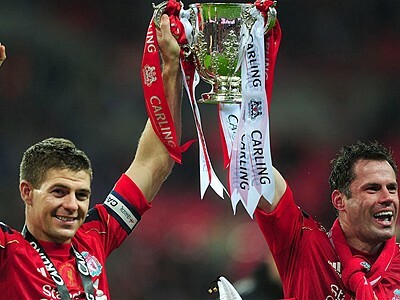 Fortunately, when it comes to the League Cup, Liverpool supporters have far more happy memories than sad. It’s a competition we have dominated and no other English Club comes close to touching our record. It’s really hard to pick out a favourite from the eight victories. Some were poor games, but were significant because of the opponent. Some had everything, the drama of late goals and coming from behind; others have meaning because they were part of epic seasons. Here is my personal top three. This game is special to me because it’s the first League Cup we won. It allowed us to exorcise the ghosts of that painful defeat in ’78 and it made up for our poor League form that year (Liverpool would finish 5th). This was a north, south battle of epic proportions. The game at Wembley went into extra-time after the regulation ninety minutes ended goalless. The Reds broke the deadlock in the 118th minute, but were almost immediately pegged back when Liverpool conceded a penalty just two minutes later. Ray Stewart buried it and the two teams would meet again at Villa Park for a replay. I remember the game was all about the first half. ‘The Hammers’ took an early lead through Paul Goddard, but two goals in under 5 minutes put Liverpool in front. 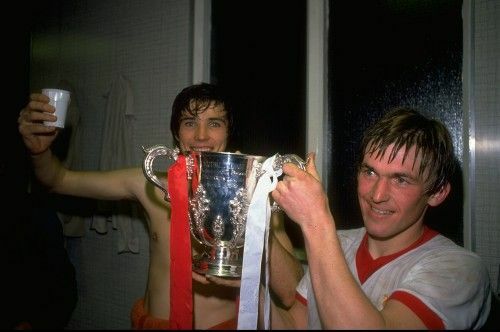 Dalglish bagged an equalizer and a rare goal for Alan Hansen secured the win. The Reds would endure nerve shredding second half, but in the end they would be able add the League Cup to their extensive trophy collection. That year they would also secure their third European Cup, allowing us to gloss over a dismal season in the League. We had no idea that we would go on to make the cup our own for the next four years. 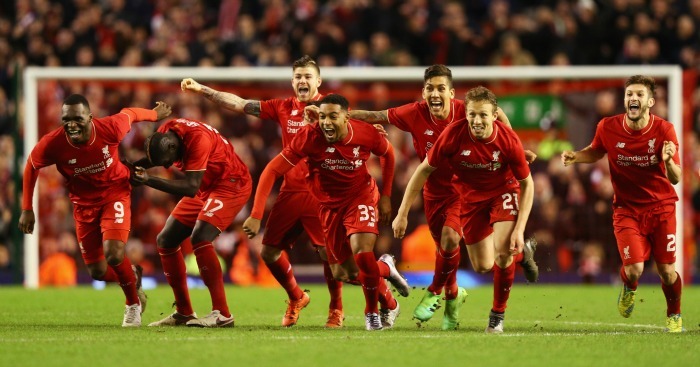 Liverpool’s league form had dramatically improved and they would go on to win their thirteenth title this year. This was our second trip to the national stadium in successive years and Wembley was on its way to becoming ‘Anfield South’. The game had added significance due to the fact that Reds legend and certainly our greatest keeper in my lifetime, Ray Clemence, was keeping goal for the opposition. Even back then Liverpool made hard work of winning trophies and went behind early to a Steve Archibald goal in the 11th minute. Spurs hung on doggedly and the game seemed to be heading for an inevitable defeat, when in the 87th minute Ronnie Whelan equalised; taking yet another final into extra time. Spurs were out on their feet and Liverpool were just getting going. Clemence would later say he knew the game was up, as soon as Whelan levelled. Did that sense of impending doom transfer to his back four? It may well have, because Whelan and Rush would terrorise them in extra-time; scoring in the 111th and 119th minutes. Liverpool had won their second League Cup in two years. I remember asking a mate, who’d been lucky enough to go, was he nervous as the game wound down, with us a goal down. His reply, not one bit. Only he will know if that’s true or not, but that was what it was like supporting Liverpool back then; until that final whistle went, you were never beaten. After the glory years of Houllier and Benitez, Liverpool supporters had reacquainted themselves with the joy of winning silverware. From 2001 – 2010 The Reds amassed an incredible ten trophies, if we include the two European Super Cups and two Community Shields. We had reconquered Europe and established ourselves as a great domestic cup team. Liverpool had also gone close in the Premier League a couple of times. However, as the first decade of the new century drew to a close the cracks were starting to appear. The disastrous ownership of Hicks and Gillett and the decision to sack Benitez led to a decline in performances and belief. Roy Hodgson had proved to be the mistake every Liverpool fan could see, but apparently Christian Purslow couldn’t. 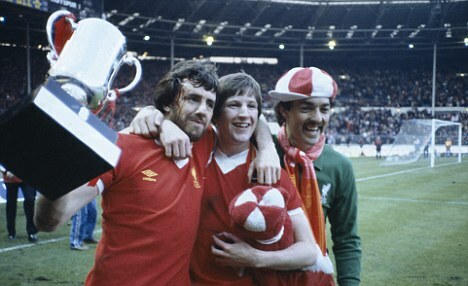 So when King Kenny returned to the club and immediately led us to another Wembley final, it was a case of just what the Doctor ordered. Our domestic success at the start of the century had come at Cardiff’s Millennium Stadium, but here we were back where we belong, at the National Stadium once again; and in a twist of fate we were playing Cardiff. In typical fashion Liverpool gifted their opponents the lead. A mix-up between Skrtel and Carragher allowed Joe Mason to score and the Welshmen went wild. Skrtel would make amends on the hour mark and took the game to extra-time. It looked like Dirk Kuyt had given Liverpool the cup, when he scored just minutes into the second half of extra-time. Alas when it comes to Liverpool and cup finals, you’re always guaranteed drama. With the game petering out, The Reds conceded a corner. Liverpool failed to deal with it and a hapless Pepe Reina couldn’t prevent Turner from levelling with just minutes to go. Another final, another shoot-out. Liverpool’s record in penalties is second to none, but when they missed their first two, hearts sank. The ball-boy is still searching for Charlie Adam’s spot kick. However The Reds would score their next three and Cardiff faltered. The final kick was left to Anthony Gerrard, cousin of the Liverpool captain. His agony as the ball skidded wide of Reina’s upright was matched only by the joy in the Liverpool end. I was in that end with my son. It was his first final and regardless of the opposition, it will be a game we both remember for the rest of our lives. On Sunday Liverpool will write another chapter in their League Cup story. Win or lose each and every player and supporter will be woven into the rich tapestry of Anfield folklore. It’s what Liverpool FC is all about, playing in finals, winning trophies and making the people happy. Good luck Red Men.